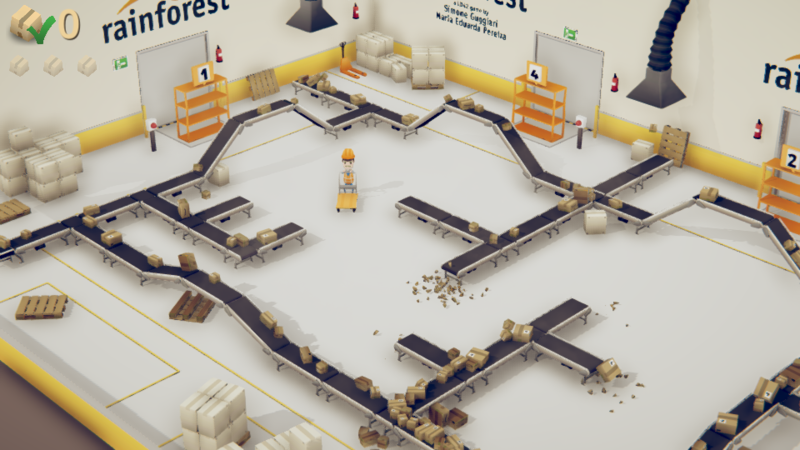 Help Joe push a trolley through a delivery warehouse on your first day at a job at rainforest, Inc. Pick up boxes of the right size and carry them to the appropriate shelf. 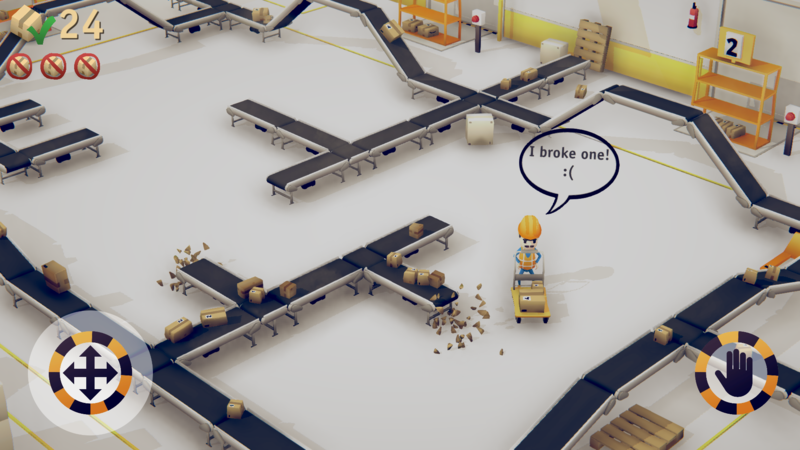 Watch out for space on your trolley and avoid boxes from falling out of the conveyor belt, or else you will get fired! If you are interested in being the first one to know when the game is released, subscribe to our newsletter! If 3 boxes fall out of the conveyor, it's game over and you are fired! Grab a friend and play as Joe and Jeff trying to stay employed as long as possible! Use the same keyboard or add controllers for the ultimate experience! Got an android phone? Then check out the full touchscreen support version! Simply play & be the first to get a high-score and we'll feature you here! 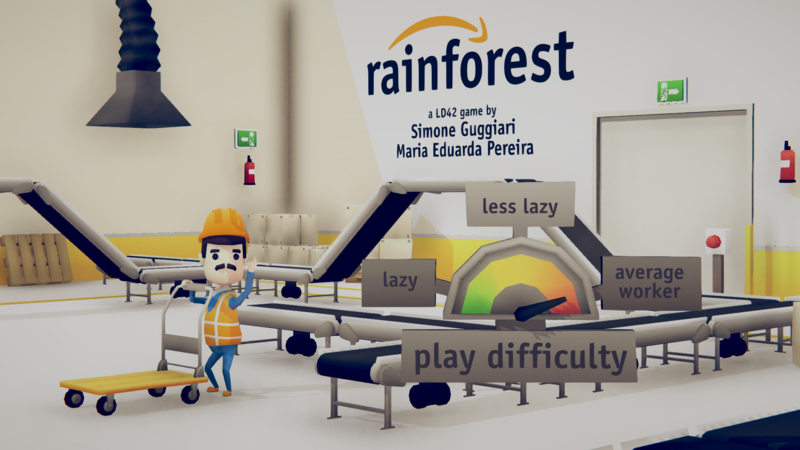 If you are a streamer/youtuber and play this, let me know! 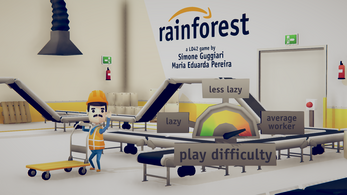 The game was made in 72h by Simone Guggiari for Ludum Dare 42. It was a bit hard to see which size a box was, but other than that it was a great game. don't you know Marian? Joe's brother! I really enjoyed this! Challenging but fun! Boxes break as soon as they hit my cart..? 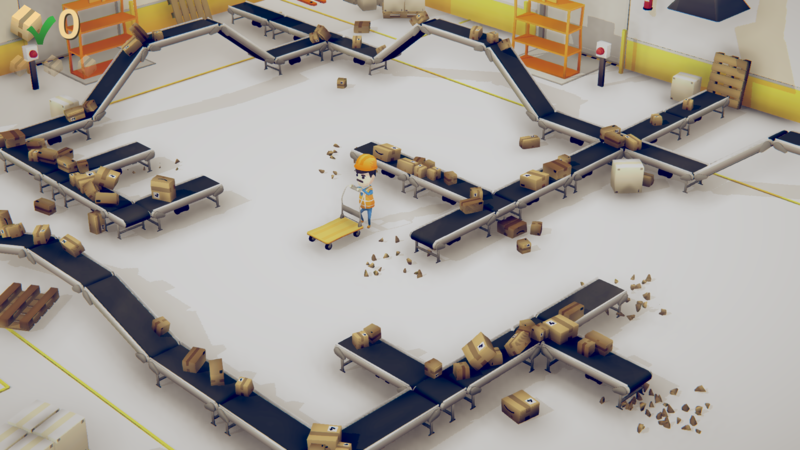 Hi HawkSandwich, no they only break if they fall out of the conveyor belt. you have to pick them up before that happens by hitting space so you can bring them to the appropriate shelf. cheers!